MARKHAM, Ont. -- Premier Doug Ford is telling teachers not to strike, saying they have a good deal with three months of holidays and the best benefits and pensions in the country. Ontario could start bargaining at the end of this month with teachers and education workers, whose contracts expire at the end of August. 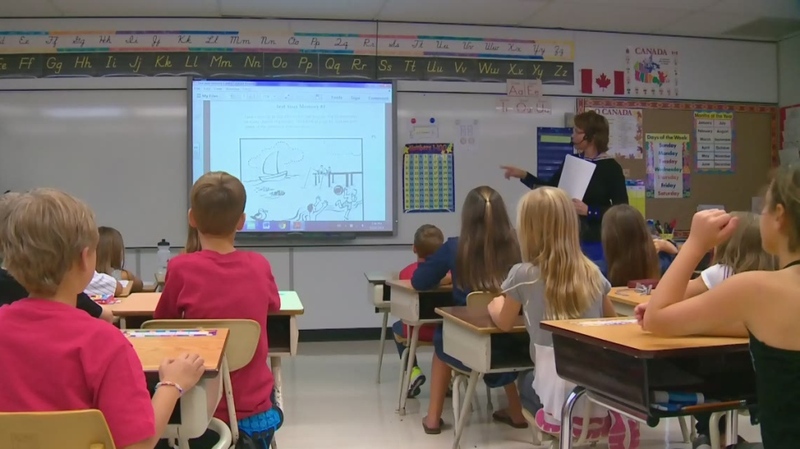 Teachers' unions have already expressed concerns about a recent education announcement from the government, which includes larger class sizes for grades four to 12. When asked today if he was preparing for the possibility of a strike, Ford said teachers have waged job action against Ontario governments of every stripe, and he says they have to get with the times. Ford says teachers do a great job and he appreciates them, but says their unions have declared war on the government. He also says an Aug. 31 expiry date for teachers' contracts -- right before kids go back to school -- will never happen again under his government.